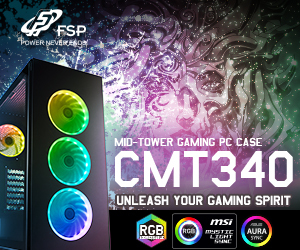 Home / Component / MSI MEG X399 Creation – The best motherboard ever! During testing we monitor the temperature of the Threadripper CPU package and VRMs with HWiNFO64. A Blender workload gives a real world temperature, however the BWM test run is completed fairly quickly on the 2990WX test system so we ran the test three times to get a reliable temperature reading. This figure was typically a few degrees cooler than the figure generated by AIDA64 which is a synthetic stress test that represents, for us, a worst case scenario. 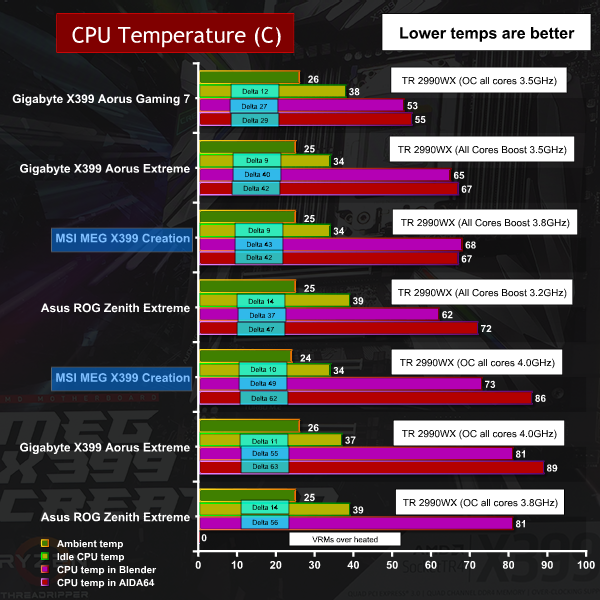 CPU temperature has a fairly direct relationship with Vcore and clock speed so it came as no surprise when we saw similar temperatures for the 2990WX overclocked to 4.0GHz on both the MSI MEG X399 Creation and Gigabyte X399 Aorus Xtreme. These two motherboards were the pick of the bunch in a group that included Gigabyte X399 Aorus Gaming 7 and Asus ROG Zenith Extreme. We also saw similar CPU temperatures for these two motherboards when we left the CPU speed on Auto and unlocked the power limit, however the MSI was running the CPU at 3.8GHz where the Gigabyte only managed 3.5GHz. Naturally enough this gave better performance results with the MSI MEG X399 Creation and made a compelling case for running it on Auto. 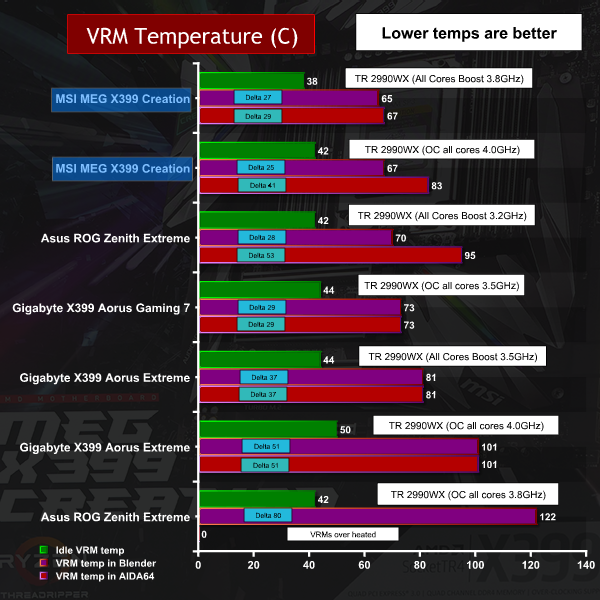 VRM temperatures were a completely different proposition as the MSI ran much cooler than any X399 Threadripper motherboard we have seen both on Auto settings and overclocked. The highest temperatures we saw were 83 degrees which is impressively low for a 32-core system running at 4.0GHz. This demonstrates the benefits of the battleship engineering that MSI has employed on the VRMs and earns them a hearty round of applause. 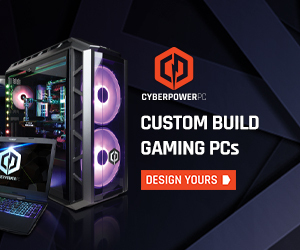 We used the Powenetics project software from Cybenetics to monitor the power used by the cores of Threadripper, along with HWiNFO64 to check the power draw of the CPU package as a whole. We also monitored the system power draw at the mains socket which delivered some truly enormous numbers. 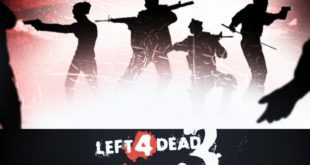 At lower clock speeds the 32-core 2990WX determines how much power is required by each motherboard with little variance from one board to another. 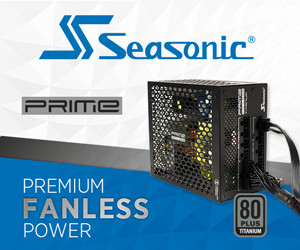 As clock speeds increase to 3.8GHz-4.0GHz the CPU power draw under load in Blender levels out at 450W. 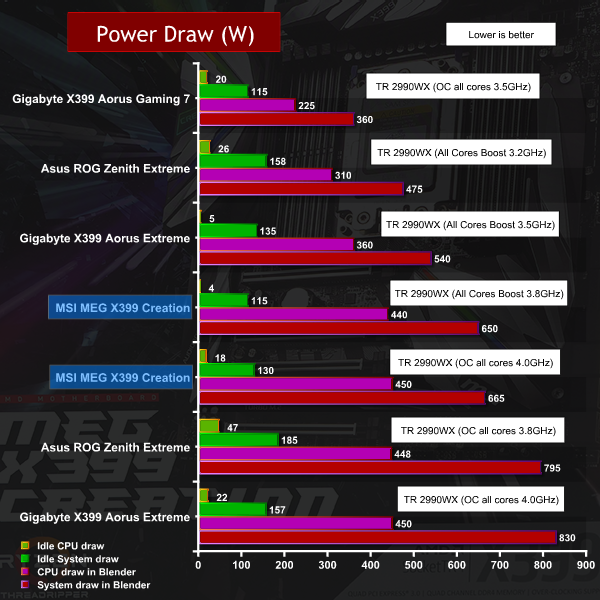 This is the point where things get interesting as some significant gaps emerge between the boards for system power draw with the MSI MEG X399 Creation drawing 650W, while the Asus ROG Zenith Extreme and Gigabyte X399 Aorus Xtreme hit the 800W mark. Our conclusion is that the sophisticated VRM hardware used by MSI simply does a better job in a more efficient manner with the result that more of your mains power ends up doing useful work, instead of being wasted as heat.